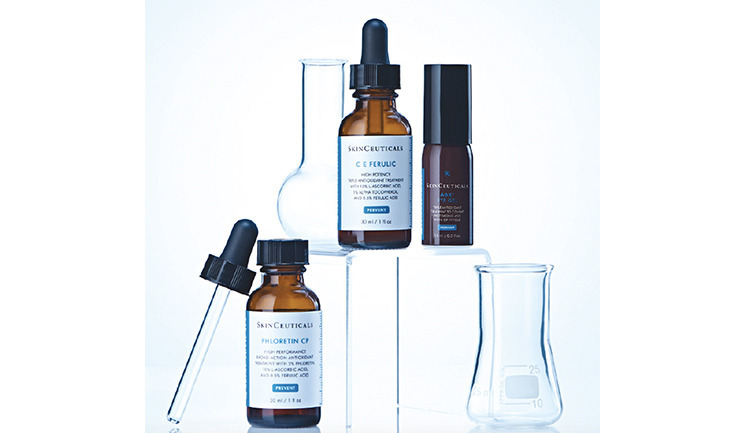 What sets the SkinCeuticals Antioxidant Range apart from other antioxidants? The backbone of SkinCeuticals science is the development of potent antioxidant topical skincare, based on the pioneering work of Dr Sheldon Pinnell. As the founding father of topical antioxidants, he was the first to patent a stable form of Vitamin C, proven through peer-reviewed research, to effectively penetrate skin, delivering eight times the skin’s natural antioxidant protection. Since then, we have set the industry standard, thanks to further breakthroughs made by our R&D team, in stabilising active ingredients and formulating synergistic combinations of antioxidants to provide superior protection and stability. Our commitment to efficacy testing is unparalleled – we assess this against three criteria: does the final formulation penetrate into the skin, does it have a quantifiable action in skin and does that action translate to end benefits for the patient. As a scientist, I feel proud to work for a brand that dedicates such high levels of time and resource to ongoing research into identifying the causes of skin damage and validating the capacity of our antioxidant formulas, in order to provide efficient prevention and protection against environmental aggressors. Why is research into Atmospheric Skin Ageing of such significance? ‘Atmospheric Skin Ageing’ is a term that SkinCeuticals introduced to bring awareness to the fact that multiple environmental aggressors can contribute towards the complex process of skin ageing. 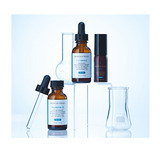 At SkinCeuticals we believe in finding ways to prevent future damage to the skin. We were the first cosmeceutical range to test our antioxidant formulas for skin protection against infrared radiation after proving their efficacy against UVA/UVB. We were also the first brand to quantify the effects of ozone pollution on skin and to prove that our antioxidants help to reduce the damage it does to human skin. Today, with more than 90% of the world’s urban population estimated to be living with pollutant levels in excess of WHO standard limits, being able to provide antioxidant serums that help to counteract the negative impact of ozone pollution on skin is of huge significance. This year we have embarked on an extensive, multi-year research initiative to investigate the capacity of our antioxidants to provide protection against visible light by preventing free radical assault and replenishing antioxidants in skin. For the first phase of this study, we have collaborated with a globally recognised scientific institution to determine a quantifiable measure for visible light effects on skin. 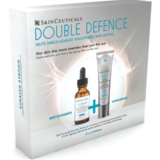 Phase II will quantify the added protection SkinCeuticals Antioxidants provide to the skin. These results are due in 2019. 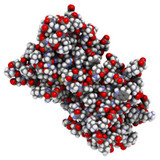 What can patients expect from using a topical antioxidant? Clinical studies prove that the SkinCeuticals Antioxidant Range successfully reduces signs of premature ageing by neutralising UV, IR-A and pollution-induced free radicals whilst supporting the skin’s natural repair. Following the recommended daily regimen in applying a SkinCeuticals Antioxidant every morning will deliver visible improvements to the skin’s firmness and skin tone, as well as a reduction in the appearance of lines and wrinkles. Vitamin C also has a brightening effect on skin and we often find that patients comment on improved skin radiance after only two or three daily applications of C E Ferulic or Phloretin CF. We know that integrating cosmeceutical skincare with in-clinic treatments also improves and sustains treatment results. Moreover, C E Ferulic is proven to help in healing following laser skin rejuvenation. How does C E Ferulic help promote recovery when used post-laser procedures? We understand that during a laser resurfacing treatment, the epidermal barrier of the skin is disrupted and the skin’s natural level of Vitamin C is depleted rapidly. C E Ferulic, with its high concentration of pure Vitamin C, has been specifically formulated to increase the levels of Vitamin C in the skin effectively and reduce the level of inflammation. We have also conducted multiple studies on C E Ferulic to prove that when it is used as an immediate post-treatment intervention, following a fractional ablative laser treatment, patients experience reduced swelling, redness and overall downtime, enabling them to get back to daily life more quickly.1 With laser treatments ever on the rise, I believe that this use of C E Ferulic will certainly continue to be popular.